When we put our minds to something we do it... the right way. Our goal is always nothing less than making an impact, an impact that changes the way things work. Recently, everyone, and we mean EVERYONE has been talking about cryptocurrencies. It’s easy to see why when we realize that millionaires are sprouting out of nowhere. A few years ago enthusiastic crypto pioneers were happy if they could buy a pizza with their overrunning wallets of bitcoins, and today those same guys are busy shopping for islands; if they were smart enough to hang on to those bitcoins, of course. So, why are we telling you something you already know? To make you feel bad that you didn’t get in early on Bitcoin? No, no, of course not! (Although it would have been great if you did. And if you did, well hats off to that smart decision…) But - the reason we are telling you all of this is precisely the opposite. If you didn’t catch the Bitcoin train, do not despair: the real train has NOT left yet! Looking at the CRYPTO Industry our PIG Investigation Team detected a lot of aspects that needed some serious improvement, so we decided that THIS industry, the blockchain industry, needs to change for the better, as FOREX needed to just a few years ago. We brought Transparency, real hands-on client support and much more to Forex, and now are ready to do the same to crypto. After working hard for months, we are incredibly proud to offer you, before anyone else, the exclusive opportunity to get acquainted with our one-of-a-kind Initial Coin Offering, and as our loyal client, to grant you access to the pre-Token Sale privileges. A client-centric licensed and regulated fintech platform that will fuel the future of blockchain innovation. Through a tokenized ecosystem CoinMetro provides a gateway for both novice and professional traders and investors to get involved in the crypto space with an ease of access not yet seen in the industry. Our goal, above all else, is to make sure that your entire CoinMetro experience is nothing short of exemplary. 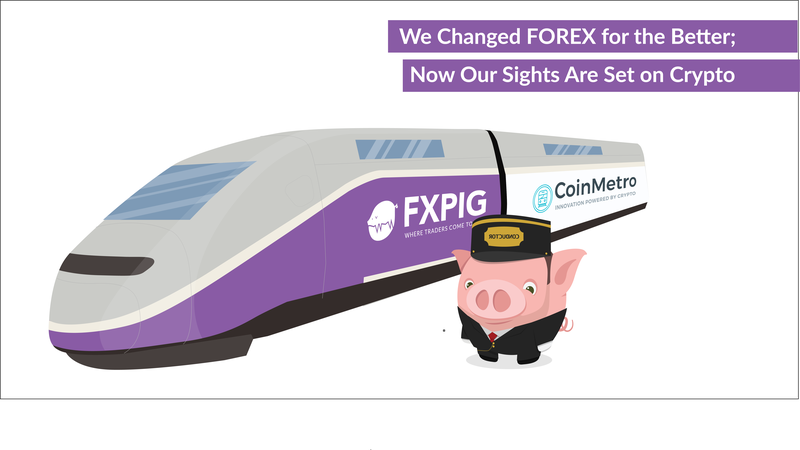 CoinMetro is a Decentralized Exchange with Institutional grade order matching designed for the crypto space. Lending is made easy: Lend, Collect, Repeat. And if you want to earn interest on your cryptocurrency balances just post an offer, lend some margin, and make some interest or, if you’re looking to trade on higher leverage? Just click Accept. Simple and efficient! CoinMetro allows investors to diversify their cryptocurrency portfolios in a few easy clicks. Think Mutual Fund meets ETF meets digital assets meets automated portfolio management. Invest in curated baskets of digital assets including cryptocurrencies and ERC20 tokens grouped by industry, risk profile, or one of several other customizable filters. Professional account managers create “TAM tokens” governed by smart contracts on the Ethereum blockchain. Investors purchase these tokens, those funds are traded by the managers, and the profits are shared based on the underlying smart contract. When launching an ICO, CoinMetro’s powerful ICO Express Platform means a transparent and secure funding round for your project, and it means your custom token will be tradable and LIQUID immediately after the ICO ends inside our exchange. Pre-Token Sale pricing will start at 0.03 EUR. The price will increase by 0.02 EUR after every 12.5Mth COIN is sold. The hardcap is set to 50M. Token Sale pricing will start at 0.11 EUR (should the pre-Token Sale sell out) and increase by 0.01 EUR at each 50M softcap. The Token Sale hardcap is set to 250M. The final COIN value, if all COIN are sold at the end of the two events will be 0.15 EUR cents per COIN. Sound like a Speculator's Dream? Sorry for sending you the longest email you have, and hopefully ever will receive in your lifetime, but wasn’t it worth it in the end?… Did we mention that the train has not left yet?